OK, so that’s what you need to rent the car. Now, let’s talk about what you need to actually drive the car! You have to have both your regular driver's license AND an international drivers permit (you need both). There’s a lot of confusion about this issue so let’s clarify once and for all right now. Italian law requires drivers from countries outside the European Union to have an international driver's permit. 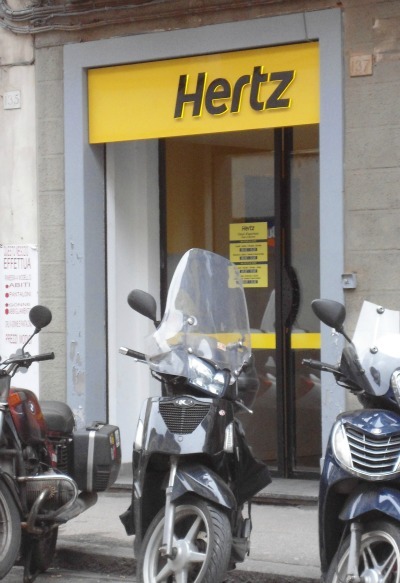 What confuses people is the fact that you can rent a car in Italy without the International permit, so people assume that it’s not necessary to drive. Many people do rent a car and drive without the Intermational permit, but if you are stopped for any reason you can be heavily fined and the car can be confiscated. This will be a huge expense that won’t be covered by any insurance policy so do yourself a favor, just get the International Permit – it is not expensive and is usually very easy to get at your local Automobile Association. Insider Info! You may not know that in Italy it's common for police to carry out random checks on the roads. 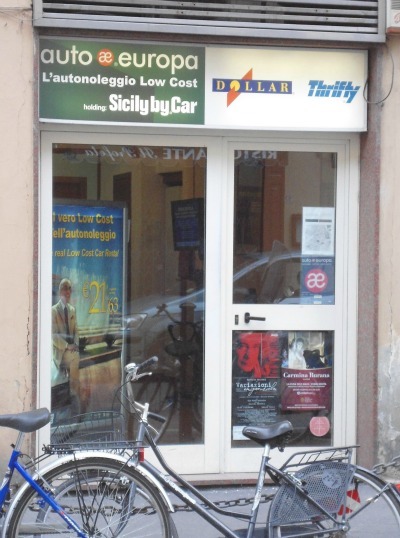 A carabinieri car will signal you to pull over just to check that your papers are in order. This is commonplace and nothing to worry about as long as your papers are in order! Up your credit card maximum before coming. 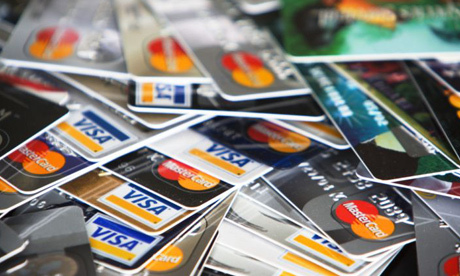 The rental company is going to put a ‘stoppage’ on a certain amount of money on your card as a deposit. This amount is usually the cost of the car rental plus from €100 to €200 more. This amount is never taken from your account, it’s just ‘blocked’ as a guarantee which is released when you return the car. Keep the receipt of the car return in case your bank dilly-dallies about releasing this amount. This could take up to a week so it’s a good idea to have as high a credit limit on your card as you can get since this sum won’t be spendable. Driving is not allowed in the historic center of Florence if you’re not a resident and there are cameras watching over all the access points to fine anybody who breaks this rule. 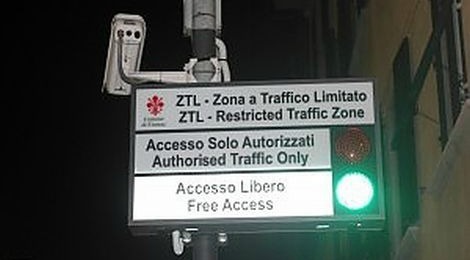 This is called the ‘ZTL’ area, Zona Traffico Limitato – limited traffic zone. So if you booked a hotel in the historic center how can you drive a car to your hotel without getting a fine? Your hotel can get you a pass to come into the off-limits area. Most hotels can do this for visitors but you should check before, then, once they assure you that they can get you access, it's simple. You just drive to the hotel and when you get there you give them your license plate number. They call the traffic police and get the OK for this car/plate. Remember to give them the plate number and check that they have called for you once you get there! Fines can arrive at your home months after your trip is over, and they are high. 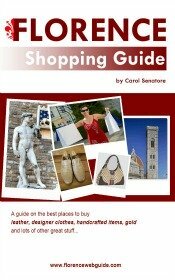 It’s best to book via the Internet before you come, but if you decide to book once you’re here go to via Borgo Ognissanti, this area is where all the main rental companies are. 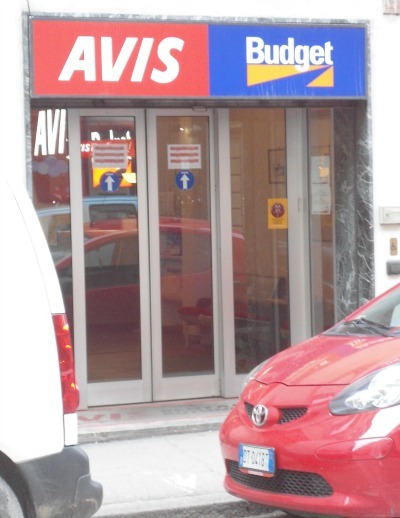 All the major companies also have offices near the airport for a car rental in Florence Italy. A shuttle bus leaves from near the arrivals doors every 10 minutes from 5 am to 11.30 pm (as I said above though, this will cost a bit more). 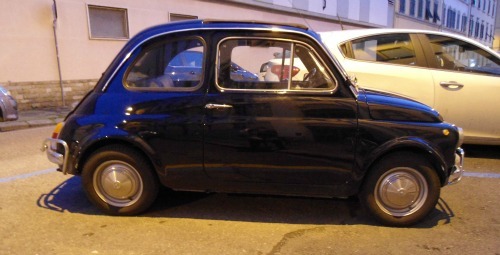 driving in Italy - are Italians as aggressive behind the wheel as people say? Find out!